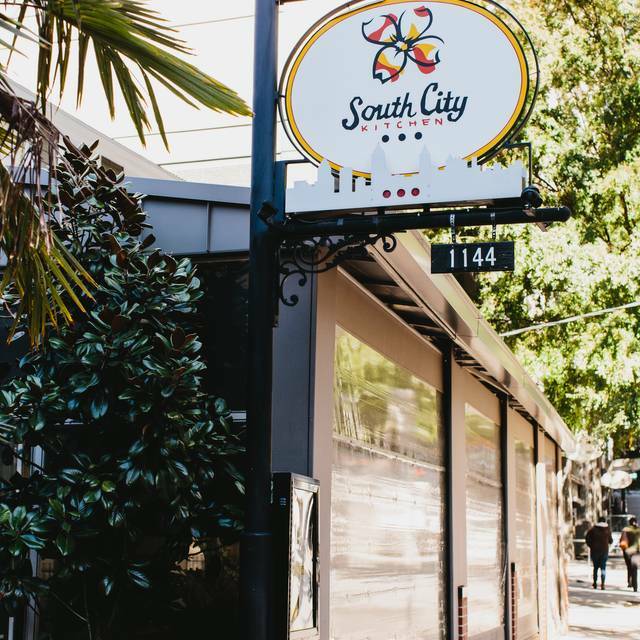 You must make reservations at least 5 minutes in advance of the time at South City Kitchen Midtown. Immediately adjacent to South City Kitchen is a new 900 space parking deck. There are several other street lots within 1 block of the restaurant as well as street parking. MARTA Arts Center or Midtown stations. 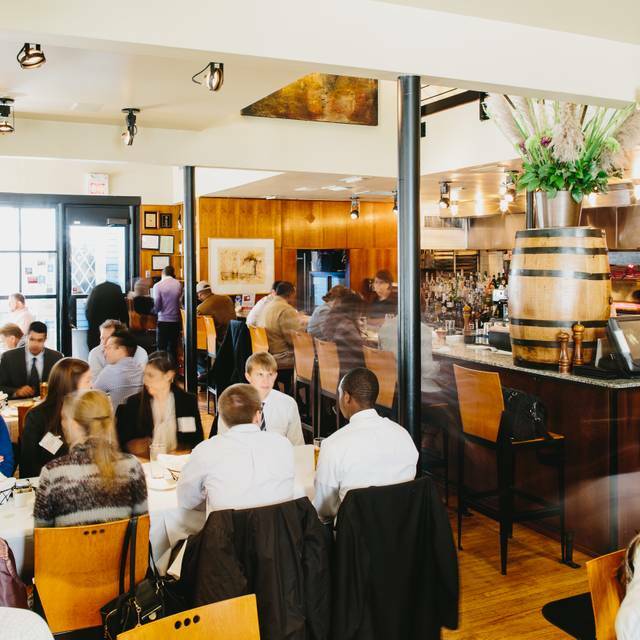 South City Kitchen Midtown is owned by Fifth Group Restaurants which also owns Bold American Events & Catering. For more information on catering, please visit http://boldamerican.com. 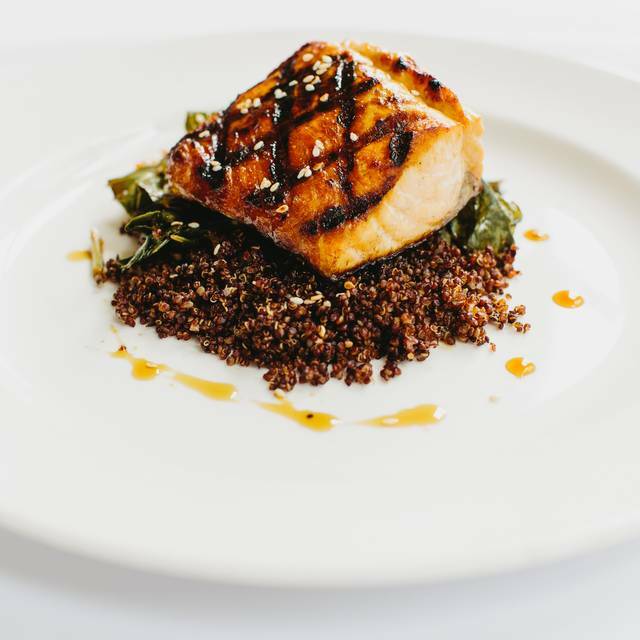 Celebrating over 20 years as one of Atlanta's favorite restaurants, South City Kitchen Midtown specializes in contemporary Southern cuisine with a sophisticated twist. 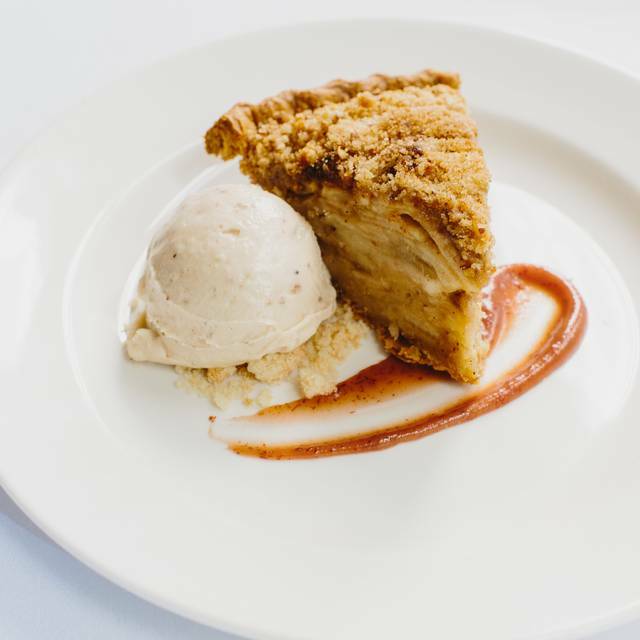 Combining the energy of Atlanta with the warmth of a Southern home, the restaurant is nestled in an updated, historic bungalow on the city's famous Crescent Avenue. 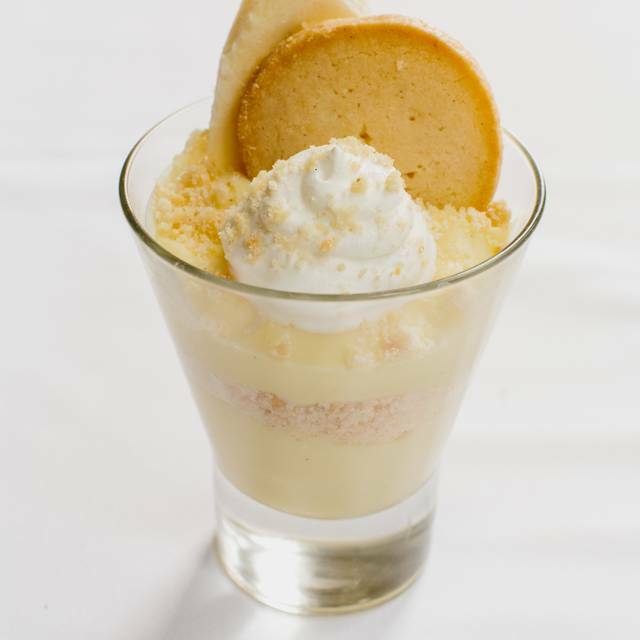 Dine on local specialties such as shrimp and grits, buttermilk fried chicken, she-crab soup, fried green tomatoes and banana pudding while enjoying the view of our exhibition kitchen or the Atlanta skyline on one of the best patios in the city. Served daily starting at 5pm gf=gluten friendly preparation as is. mgf= can be prepared gluten friendly with modification. choose one, two or three of the below items to be enjoyed family-style at your table. Selection serves 4-6 people. 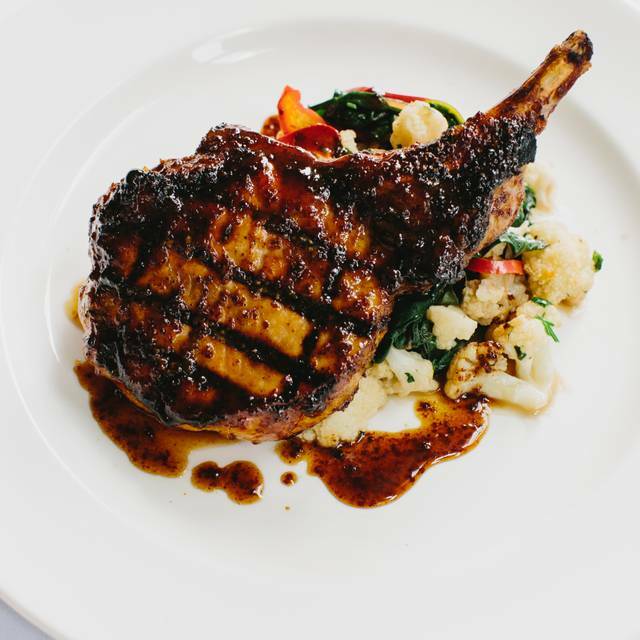 South City Kitchen in Buckhead is running a special menu for Easter. 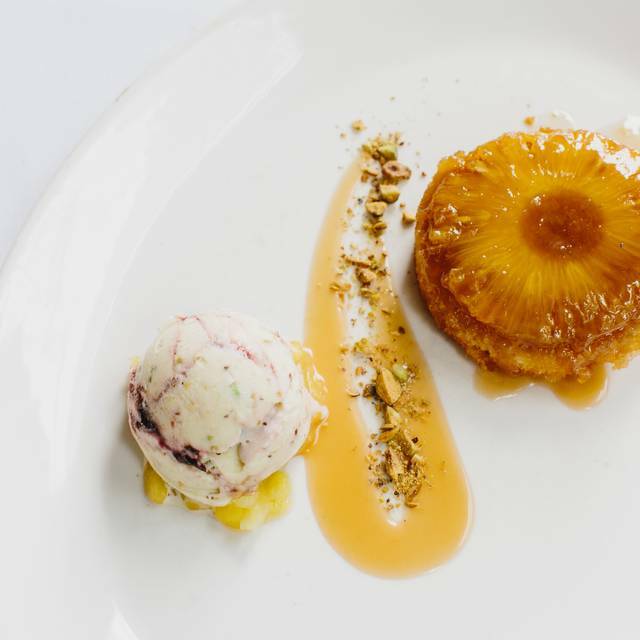 We will be offering a 2 course, prix-fix menu for $35 per person. We ask for a credit card to hold all reservations on Easter. We look forward to having you as our guests. Our waiter Cameron was very helpful with menu suggestions. We split an order of fried green tomatoes with n a red pepper coulis which piquant. needed to be sweetened up. We came on Easter evening our reservations were for 6:45. We were seated and our server came to the table that the kitchen was closing and we needed to order right away. People continued to one in and be seated for the next 15 minutes. The whole meal felt rushed and we were there to celebrate my daughters birthday. She didn’t even want to order dessert because she felt she would keep the server from going home. We were very disappointed so say the least. We were on our first trip to the south and were told this is THE place to go and get southern fried chicken. It was amazing, as was the pork belly appetizer. It's a must if visiting Atlanta! We went for the Easter Brunch. Everything was very good. The service was very nice. I’m gluten intolerant and they did everything they could to make sure my food was gluten free. The only thing I didn’t realize is that the dessert was extra and not included in the brunch price. Otherwise, everything was excellent. Sandy was the greatest server!! Fantastic Easter Brunch! Great food (too much) and attentive service but not hovering! Loved it all. They didn’t acknowledge birthday and we were rushed and wait staff was not attentive. Didn’t offer us another drink or dessert, just pushed check because they were busy. Not typical for this location and sad. Excellent food. Our waiter, Nile, went above and beyond. The price point is a bit high compared to similar restaurants. The deal killer for a return visit would be parking. $10-20 to park in a lot or search for a space on the street half-mile away definitely takes away from the experience. Too many fabulous dining options in Atlanta without this hurdle to make us want to fight this battle or add the extra expense. There were 4 of us. We had lunch before heading to game at Mercedes Benz Stadium. We all ordered different things, all of which were outstanding! For appetizers we had the Fred green tomatoes and an order of livers. Both really delicious. I had the shrimp and grits and they were great. Everyone at our table left knowing we had a great meal and great service by Laticia. Server, Andy, was friendly and efficient. The food is excellent and we had a nice time. I also appreciated the fact that Andy asked if we had a time constraint so he could make sure we would be on time for our show later at The Fox theater. The food when we received it was. The server took over 10 mins to great us. Another server took and brought our drinks. Our reservation was 1:15pm. All the servers on the floor were cleaning and breaking down other tables around us. I felt like we were in the way and not their top priority. We came when we were able to take our lunch by reservation and it was unfortunate we didn’t get the service I was use to receiving normally. I was trying to enjoy my birthday lunch with a friend I had not seen in awhile. I hope to have a better experience next. SCK is one of my favorite restaurants to dine in but this lunch experience wasn’t my best. Excellent food - great suggestions and direction from our waiter. Fun night! Our server was very helpful with the menu and beverages. The strawberry salad was a great starter. We enjoyed the red fish, shrimp and grits, trout and fried chicken. Noise levels were deafening. Impossible to converse without shouting. Wine was stale. We were seated on the porch and the weather was perfect! Our server was Erica and she was wonderful! Seated quickly; hostess/greeter was super friendly. Otherwise, service was just okay. Server seemed rushed...in fairness, it was a busy night and tables were mostly full. Tried new things — one was on the salty side; the other was bland. Next time will stick to the items we know are consistently good. South City Kitchen Midtown is one of my favorite restaurants. Service is always on point and I am never disappointed in the food. T-shirts. Hats. Jersey’s. No waiter for 10 minutes. Every drink ordered neat came on the rocks after a long wait. Music playing from the bar. Best fried chicken in Atlanta but not worth it anymore. It was different 5-10 years ago. Staff was unfriendly and rushed us through our meal because they wanted to close. If you don’t want to take care of people, then don’t take reservations close to close. Food came out wrong and they would not fix because the kitchen was closing. Very disappointing, and not for the first time. Our server forgot drink orders twice. This would have been just an inconvenience except we only saw him every 30 minutes or so. It completely ruined our dinner. I ordered the Carolina Trout with asparagus and Brussels sprouts. Trout was good - I got two Brussels sprouts and the stems of asparagus chopped up- no tips of the asparagus. Disappointed in the lack of veggies. We were running late due to traffic. I called to cancel as we had to be at 7:30 play at Alliance. Spoke to Gabrielle. She was awesome. She said she would wait on us, and insure the server and kitchen knew we had a show. She was all smiles when we arrived and was great. Server was great to. Food delicious. Had wonderful dinner and made the play at 7:30! Great meal. I used to come here in the early 00s when ATL was a regular destination. I was afraid my memories would be better than the reality. Not true! Better yet they had plenty of options for my GF requirements. I had the Shecrab soup to start. Thanks so much for making that GF. It was perfect. Briny, creamy, hint of sweetness from the sherry lace. Just beautiful. The smoked pork chop was also really good. Great flavor and paired well with the carrot and Brussels sprouts. My companion had the fried green tomatoes and then the shrimp and grits. He said both were excellent. It’s a bit loud but the food is worth it. Very good wait staff. Right amount of attention. I hope to have to come back to ATL soon! Ate 2 days in a row it was so good. If you want souther cuisine expertly prepared and graciously served...go now. Quaint interior (older home), but food and service are the stars (as they should be). Always yummy food --- of course the pimento grilled cheese cannot be topped anywhere along with the homemade chips! And fabulous service!! I've been to South City Kitchen now 4 or 5 times and it consistently exceeds expectations. This time of year, it's great to sit on the patio. 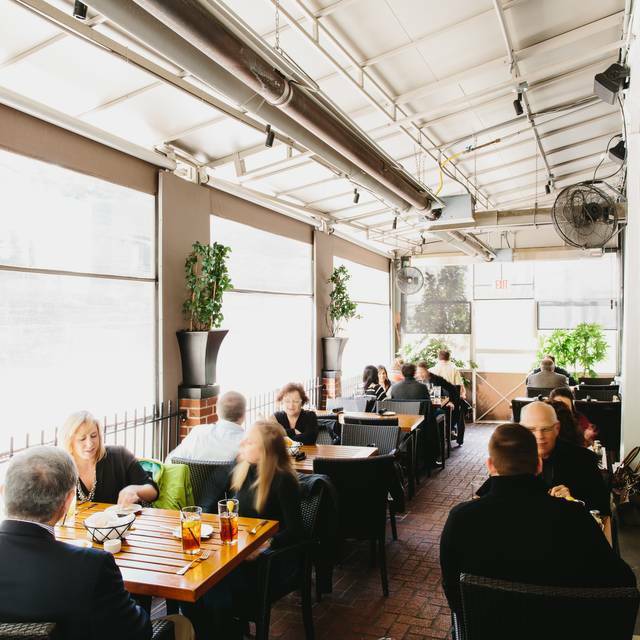 Staff are attentive and they have a great variety of selections - apps, mains, and sides. We managed to save room for dessert and I absolutely loved the banana pudding, creme brulee style. So good! Amazing food, service and overall experience! We’ll definitely be back! Amazing service, complimentary biscuits and corn bread, and amazing dishes! I ordered the frittata and I absolutely loved it. The portions here are very big and perfect for sharing! I will definitely come again. Great service and wonderful brunch! A perfect spot before a show at the Fox! Sarah behind the bar was great! My friends and I like this restaurant — food is delicious, service is good, ambience is sophisticated. 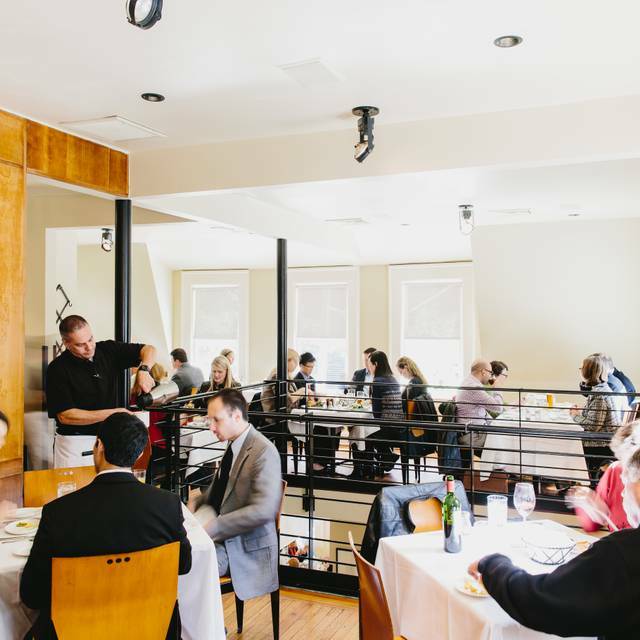 But the noise level is very high when the restaurant is full — hard to carry on a conversation. The food was amazing! top that off with excellent customer service and you cant go wrong .. a great hidden gem... make your reservation now. This was my second time eating at this location and it didn't disappoint. We went last Friday night and we only had to wait a few minutes after our reservation time. Our server was great and the good was excellent as usual. Definitely my favorite restaurant in the area and there is a lot of competition in that area. Too noisy. Soft music would have helped. Too few food choices. Andy was an excellent waiter!